The prairie-style homes from 2236 - 2350 N. Lincoln Park West were built in 1910. LINCOLN PARK — A group of residents is leading an effort to create a new landmark district in Lincoln Park. The proposal calls for a new district including two stretches of historic homes: 2236-2350 N. Lincoln Park West and 301-331 W. Fullerton Parkway. Many of those homes are designated "orange" in the city's landmark rating system, according to Landmarks Illinois. The rating is the second-highest behind red, and requires an automatic review of a demolition permit by landmarks officials. 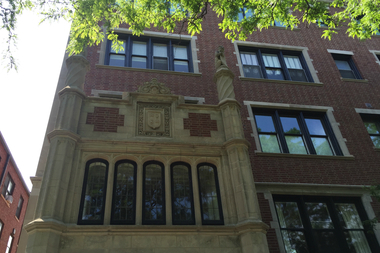 The prairie-style Lincoln Park West buildings were designed by Simeon Eisendrath in 1910, while the classical revival-style Fullerton Parkway homes were designed by Andrew Sandegren in the 1930s, according to Landmarks Illinois. There are economic incentives for residents living in landmark homes. The primary incentive, according to Landmarks Illinois, is a property tax assessment freeze, meaning building permit fees are waived. Residents proposed the plan at The Commission on Chicago Landmark's program committee meeting last week, according to Peter Strazzabosco, the city's deputy commissioner of planning and development. The plan has not yet reached the city approval process, he said. "Commission staff did not author or review the suggestions prior to their submission to the committee. They are public suggestions for consideration purposes only," he said in a prepared statement.